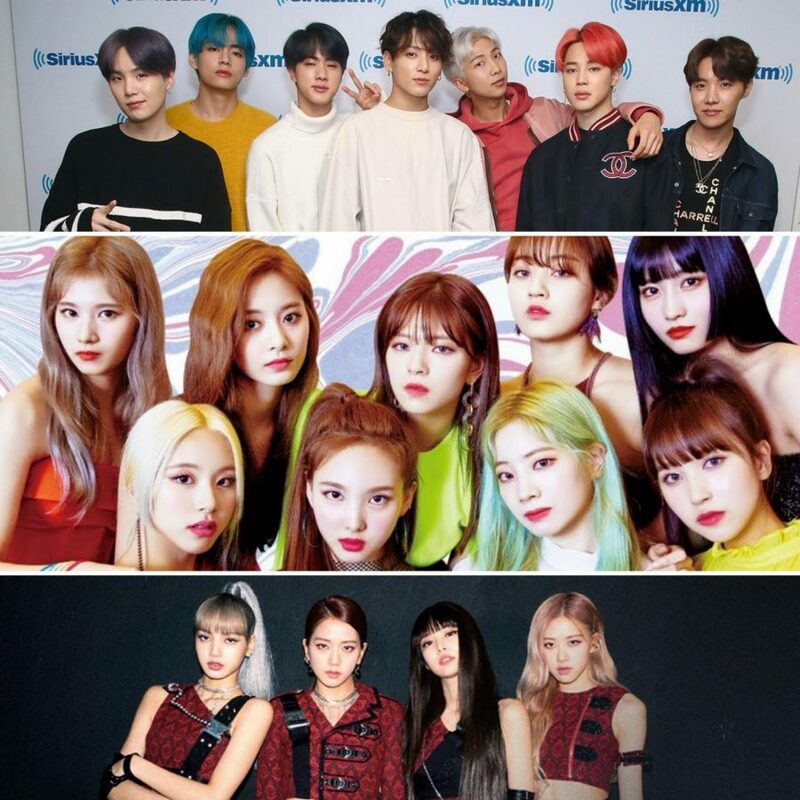 K-pop groups BTS, TWICE, and BLACKPINK are all set to make "comebacks" in the month of April. The genre of K-pop will once again cement its mark on the United States and the rest of the world as three of the genre’s big names’ new music is set for April releases. The genre of K-pop first got its first taste of global recognition with the release of PSY’s ‘Gangnam Style’ in 2012. The song’s music video became the first video on YouTube to reach 1 billion views and now has over 3 billions views. After PSY, K-pop’s popularity has only grown around the world and with bands like BTS, TWICE and BLACKPINK, it’ll only get stronger. The first of the three groups with releases in April is BLACKPINK. The group was formed under YG Entertainment and consists of 4 members: Jennie, Lisa Rosé and Jisoo. The group released their second EP, “Kill This Love” on April 5th as well as their single of the same name. 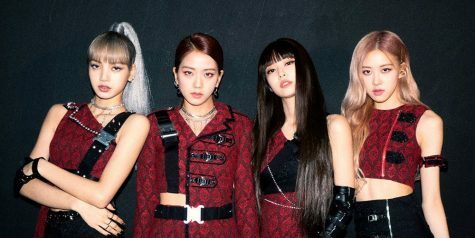 The release quickly got the world’s attention as the music video for “Kill This Love” surpassed Ariana Grande’s record for most YouTube views in 24 hours, “Kill This Love” garnered 56.7 million views. Since the release of their new album, BLACKPINK has made history as the first K-pop girl group to perform at the iconic Coachella Music Festival. After Coachella, the group will embark on their first world tour, making stops in North America. After this release, it is safe to say that BLACKPINK has taken a big step into becoming one biggest names in K-pop and in music in general , and they intend to keep on growing. The next big K-pop group to release new music in April is BTS, arguably the biggest musical act in the world right now. The group formed under BigHit Entertainment consists of 7 members: RM, V, Jimin, Suga, Jungkook, Jin and J-Hope. They released their new album, “Map of the Soul: Persona”, on April 12th along with their new single “Boy with Luv” ft. American artist Halsey. They are coming off of the major success of their previous album, “Love Yourself: Answer”, and previous hits like “Idol”, “Mic Drop” and “Fake Love”. The group has only continued to establish their dominance on the world as they shattered the previous record for most YouTube views in 24 hours, set by BLACKPINK a week before, with a jaw-dropping 78 million views. Their new album is also projected to debut at #1 in the US with 200-240K copies in total first-week consumption, including pure sales and streams. They also became the first Asian/K-pop artist to perform on legendary American comedy show “Saturday Night Live” on April 13th. BTS will embark on their first stadium world tour this summer, performing at legendary stadiums across the world like the Rose Bowl (USA), Wembley Stadium (England) and the Stade de France (France). The last of the three big K-pop groups to release new music in the month of April is girl group TWICE. The group formed under JYP Entertainment consists of 9 members: Nayeon, Jeongyeon, Momo, Sana, Jihyo, Mina, Dahyun, Chaeyoung and Tzuyu. Among the other two groups mentioned previously, TWICE is the only group that hasn’t managed to form as big of a following worldwide but, they are considered the biggest girl group in all of Asia and are considered “Korea’s Girl Group” by Korean media. They recently became the first Korean girl group to hold a Japanese Dome Tour after performing at 4 “dome” style arenas in Japan racking up an approximate 210,000 attendees. They will release their 7th EP “Fancy You” on April 22nd and according to the members, it is expected to be a different type of song than their usual bubbly pop songs. They have opted for a more mature sound and concept this time around, with many Korean media sources reporting that it will mark TWICE’s artistical turning point, as they intend to begin to stray away from their cute and bubbly image to a more mature one. After the release of “Fancy You”, TWICE will also be embarking on their first world tour, making stops in Mexico, the Untied States, Thailand and the Philippines. Besides these three K-pop groups, there are many more attempting to break into mainstream music like LOONA (stan LOONA), Red Velvet, EXO, MAMAMOO and many more. Whether we like it or not K-pop has made its mark on the world and it doesn’t seem like it has any intention of stopping anytime soon.